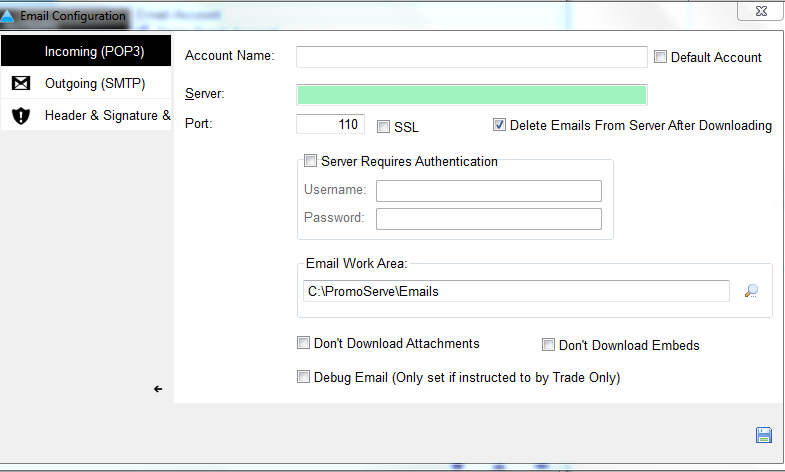 This tutorial will show you how to setup your PromoServe email client. Select 'Accounts' under 'Configuration' and click the '+' to add new account information. This screen shows you your outgoing email settings. 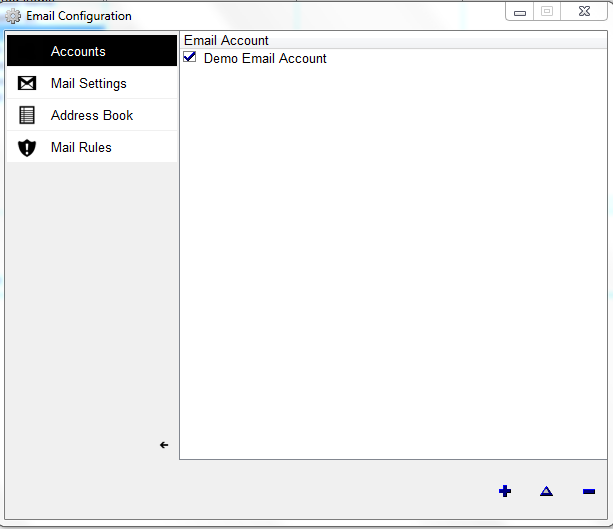 Account Name This will be the same as the account name defined when populating the 'Incoming(POP3)' tab. Left click the 'Internal Email' program. 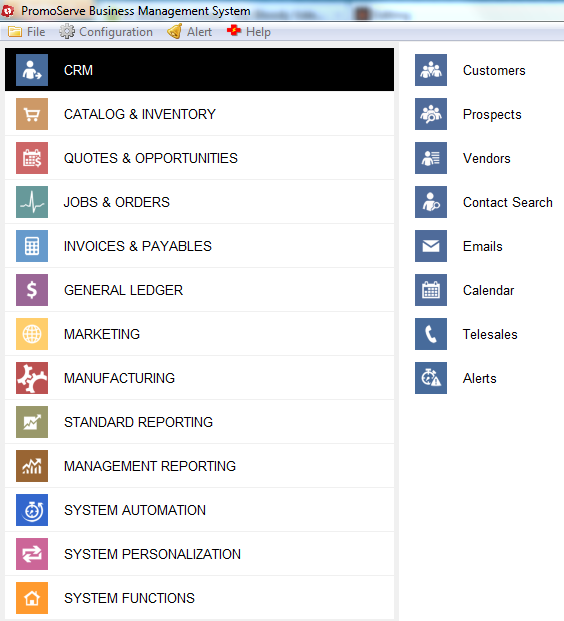 This will set PromoServe to use its inbuilt email program. This is usually port 25 but check with your email provider to be certain. Enter the server name of your incoming mail server here. E.g. 'mail.provider.com'. Check this box if you would like your emails to be deleted from your mail server after they have been downloaded into the email program. 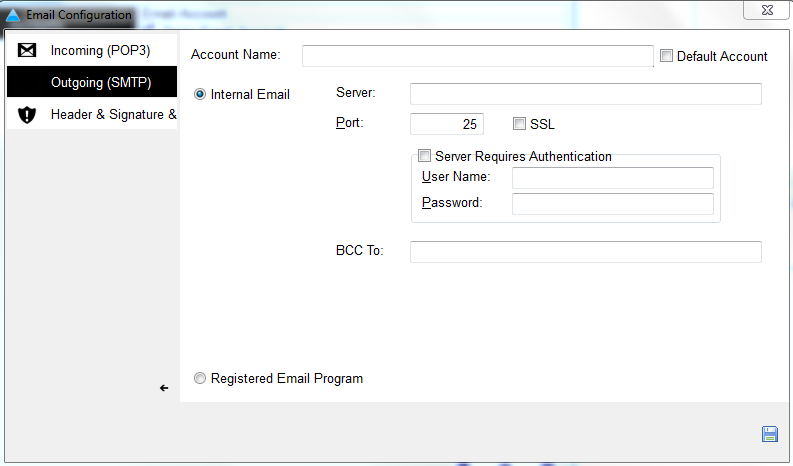 Check this box if your incoming mail server requires authentication. Once checked, you will then be able to enter your individual email username and password details. If you are unsure then check with your email provider. Click the magnifying glass symbol to pick a folder to store your emails.